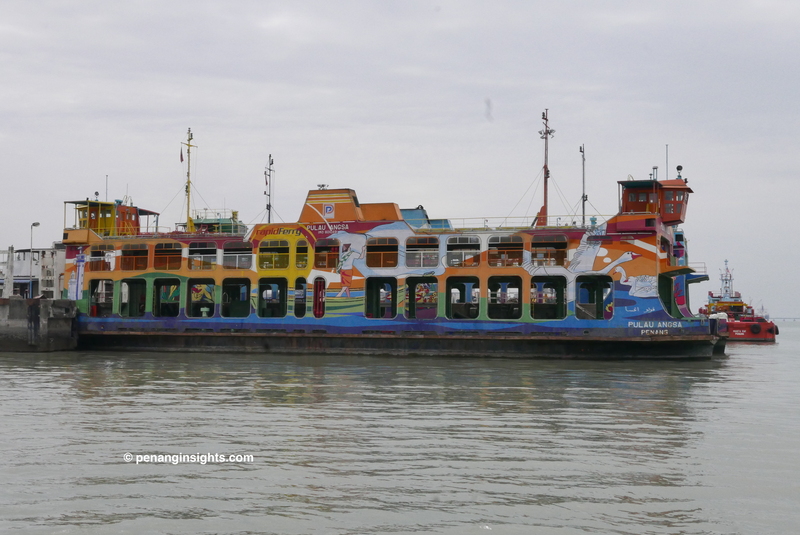 Penang Ferry is iconic to the locals who were born and grew up in the early-mid 20th century. On a weekend, the adults would take their children on a ferry ride for fun, to breathe the air, enjoy the views and natural surrounding. Penang was less busy then and people were less in a rush. Now, it looks old, tired and slow in this fast pace world with commuters preferring to use the two bridges to get to their destination quicker. Since mid-2018 Penang Ferry is changed over to Rapid Ferry with its remaining fleet of six double-decker ferries under a new transportation company. The future of the remaining ferries is yet to be known. For now, the commute time takes approximately 20 minutes between the two terminals with a waiting time of 30 minutes on either side based on a Sunday schedule when I last travelled. The ride from the island side is free, whereas it costs RM $7.70 from the mainland side for a motor vehicle. It was very quiet and peaceful when I used the ferry on a Sunday in the early dawn. As I am not a frequent commuter using the ferry, I suspect this isn’t the norm during the week with the long waiting time.